New York’s real estate community has rallied behind Jewish National fund in recent years, which has breathed new life into Israel via its philanthropy. Jewish National Fund began a modern movement of repurchasing the land of Israel for the Jewish people everywhere. Since its inception, JNF-USA has planted more than a quarter billion trees in what was once barren land—while creating hundreds of communities along the country’s coastal plane, including what is today’s bustling metropolis of Tel Aviv. Yes, Tel Aviv, the city some call “New York on the Mediterranean,” was a sand dune 103 years ago. That’s where JNF-USA stepped in and 65 families came to a Jewish National Fund housing site auction and purchased lots. Jewish National Fund built the first roads, parks and infrastructure, and today Tel Aviv is a city offering some of the finest restaurants in the world and is home to tech companies such as Facebook, WeWork and so much more. That is success measured in the real estate business and that is Jewish National Fund. Tree planting is in JNF-USA’s DNA, but today, JNF-USA is so much more than trees. In addition to greening Israel, Jewish National Fund continues building and expanding communities in Galilee and Negev Desert for generations of Israelis to call home, helping people with disabilities, bolstering Israel’s water supply, helping develop innovative arid-agriculture techniques and educating both young and old about the founding and importance of Israel and Zionism. Jewish National Fund is still a great investment. In 2014, just five years ago, JNF-USA’s leadership embarked on an ambitious and critical roadmap for the future of the organization, and thereby for Israel—the One Billion Roadmap for the Next Decade. 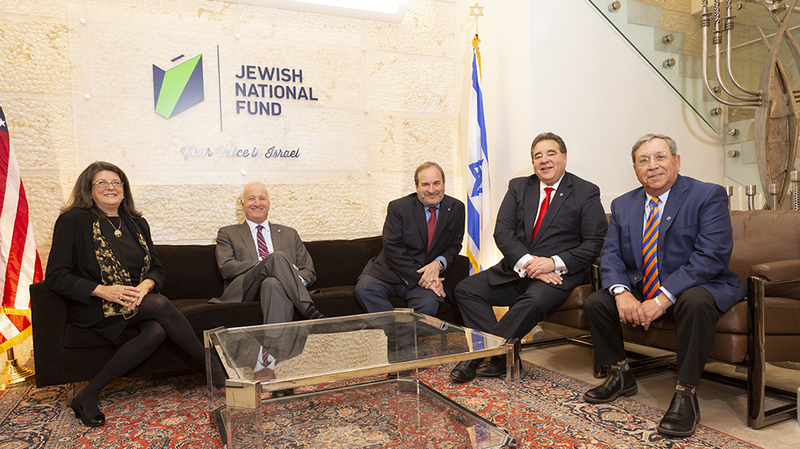 “As Israel and the American Jewish community face the future together as partners, we believe the spirit that has sustained Jewish National Fund for the past 117 years is needed now more than ever,” said JNF-USA National Chairman of the Board Jeffrey E. Levine of Douglaston Development. “We are driven by a deep sense of purpose and responsibility at JNF-USA, which is why we undertook an unprecedented $1 billion campaign.” Today, the One Billion Roadmap for the Next Decade is almost at $600 million, and its success is enabling JNF to accelerate its mission to improve the quality of life for all Israelis. With 90 percent of Israel’s population concentrated in the Tel Aviv-Haifa-Jerusalem corridor, the rest of the country is sparsely populated and economically underdeveloped. Imagine if 70 percent of the United States’ 323 million residents were crammed into California, Nevada and Arizona. This is the reality in Israel: seven out of 10 Israelis live in approximately 10 percent of the country’s total geography. This is why population growth and regional economic development in Israel’s northern and southern regions form the backbone of Jewish National Fund’s Go North and Blueprint Negev strategies. The goal is to realize the full potential of the Galilee and Negev as rich centers of agriculture, tourism and technology development. Jewish National Fund’s major initiative to revitalize the underdeveloped Negev Desert region—Blueprint Negev—is improving quality of life for all residents of Southern Israel. By confronting challenges—from a scarce water supply, to a lack of infrastructure for housing and transportation, to a need for more job opportunities—head on, many areas are now on a fast track to success. At the center of the campaign is the revitalization of the city of Be’er Sheva. Once considered just a place for a quick stop on the way to the resort port city of Eilat, Be’er Sheva is now the fastest growing city in the country and the crown jewel of JNF-USA’s Blueprint Negev initiative. The Be’er Sheva River Park, with playgrounds, bike paths, promenades, two historical sites, a 13,000-seat amphitheater, a sporteque, and now a 23-acre lake, have spurred the construction of new apartment buildings, single family homes, Israel’s largest indoor mall, high-tech and cyber companies, a burgeoning night life, and so much more. Similarly, Negev cities and towns are experiencing Be’er Sheva’s ripple effects, and there’s a rebirth and transformation taking place in the desert which is drawing young families to lay roots in this more affordable and comfortable area of Israel. Jewish National Fund knows that a community is more than just brick and mortar; it’s about creating a place where people can thrive. With a focus on housing, employment, tourism, infrastructure, medical facilities and private investment, Jewish National Fund is building new communities and enhancing existing ones to improve the overall quality of life and create lasting communities. In the north, from building the new Jewish National Fund Western Galilee Tourist Information Center in Akko to supporting local businesses, Go North is improving the quality of life in Israel’s Western Galilee. The Upper Eastern Galilee will soon see increased economic growth and become a destination for tourists as well as a place to call home. To achieve this, Jewish National Fund is working to change the narrative of the Upper Eastern Galilee to transform the region into the culinary and food technology capital of the world and draw 50,000 new residents to the area. It plans to build a Food Technology and Innovation Center for incubators and research, and it will serve as a platform for entrepreneurs and venture capitalists to develop new business and growth opportunities—ensuring that local residents no longer need to move to Tel Aviv or Jerusalem to succeed. The forthcoming Jewish National Fund Institute of Culinary Arts will further reshape the region into a global culinary and hospitality center of excellence. The Institute will become the backbone for increased economic development, employment, tourism, housing and more that is needed to ensure steady and continued growth for years to come. A major component of the Go North and Blueprint Negev campaigns is the Jewish National Fund Housing Development Fund, which facilitates the movement of population to the Negev and Galilee, imperative for Israel’s secure and lasting future, by providing targeted funding for physical infrastructure needed to begin the home building process. Unlike in the U.S., there is no private residential development in Israel; all development is controlled by the municipalities. Only after all the lots in a development are purchased and financed can that physical infrastructure be developed, causing delays of two to five years in the start of housing construction. “Many communities in the Negev and Galilee wish to expand and there is high demand for good quality and affordable housing outside of the congested and expensive center of the country,” said David Greenbaum, president, New York Division of Vorando Realty Trust and a member of JNF’s Housing Development Fund Task Force. “However, many small communities lack the necessary capital to develop their land for housing.” Through its Housing Development Fund, JNF-USA provides loans to communities, lending them the capital necessary for ground infrastructure to be completed. 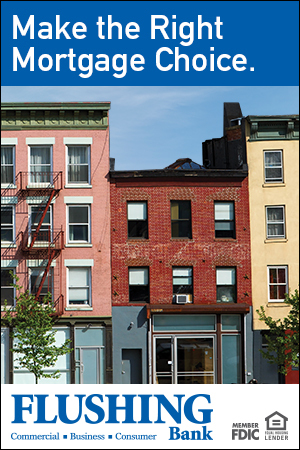 To date, JNF-USA has funded 1,000 housing sites for 5,000 people in 19 communities in the north and south. “This is all just a glimpse into the tremendous scope of Jewish National Fund’s work,” said Mark Engel, past president of the Long Island Regional Board. “Every time I go to Israel I am continually impressed by Jewish National Fund’s work and the profound impact they have on the country’s infrastructure.” Other areas of work that the organization is heavily invested in include: Disabilities and Special Needs, Zionist Education and Advocacy, Heritage Sites Preservation, Research and Development and Water Solutions. Locally, JNF-USA supporters are helping by raising much-needed funds through events such as the Long Island Golf and Tennis Classic and the Leonard Litwin New York City Real Estate Dinner. The Golf and Tennis Classic, chaired by Mark Engel, Rubin Pikus and Joe Fingerman, is now in its 12th year and has raised more than $3 million dollars. It has also honored leading figures in the industry to benefit the work of Jewish National Fund in Israel. The Leonard Litwin Real Estate Tree of Life™ Award Dinner is an industry event that presents a humanitarian award in recognition of outstanding community involvement, dedication to the cause of American-Israeli friendship, and devotion to peace and security of human life. The award honors a leader for their achievements and innovations in industry, government, and education. This year, the honoree is Bruce Mosler of Cushman and Wakefield and the event is chaired by David Greenbaum and Jeff Levine. Jewish National Fund operates with passion and integrity. It has proudly earned Charity Navigator’s highest rating of four stars for seven consecutive years. For more information on how to get involved, please visit jnf.org or call 212.879.9300 ext. 503. For those interested in the Long Island Golf and Tennis Classic, please contact Howard Ingram for more information at hingram@jnf.org. For those interested in the Leonard Litwin Real Estate Tree of Life™ Award Dinner, please contact Michael Feinman at mfeinman@jnf.org.